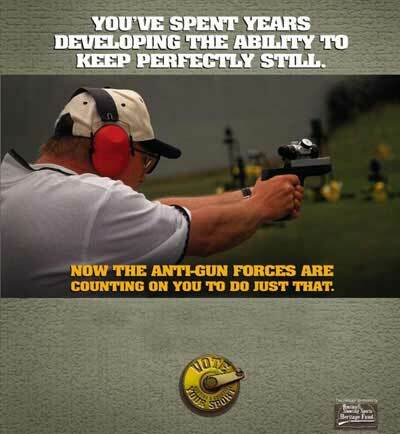 As you take aim at your target, remember this: the anti-gun politicians are taking aim at theirs. They're fixed on putting gun manufacturers and stores out of business. All they'll need are the votes. Votes that would mean the end of a sport you love so much. So find out who's running and what they stand for. Make yourself heard. Make your vote count on November 7, 2000.